2 - 5 years. 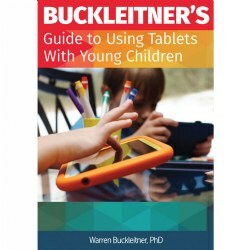 The very first interactive tablet learning manipulative for early elementary schoolers! 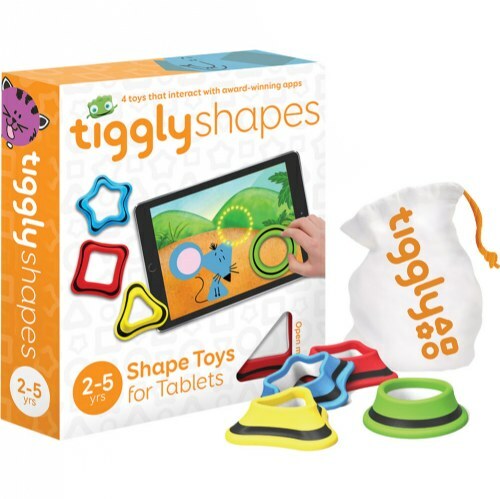 Designed by an award-winning team of educators from Columbia University Teachers College, Tiggly Shapes helps students find the fun in learning spatial reasoning, motor skills, language, and creativity in an innovative way. The award winning Tiggly Shapes Learning System includes 4 colorful and soft shapes in the form of circle, square, triangle, and star that operate in real-time with four specially built learning games. Tiggly’s innovative game-play is intuitive, engaging, and educational for young children and used in thousands of schools. Simply download the learning games onto your tablet, place your manipulative on the screen and the apps will react in real time! Tiggly Safari: Construct friendly animals from the jungle, farm, and sea. Tiggly Safari is an excellent experience for students to learn about shapes and to improve their spatial thinking. Tiggly Stamp: Tiggly Stamp is all about creativity and open-ended play and story telling. Tell stories and save your work using the video and camera options. Tiggly Draw: Unleash your inner Picasso and Mozart with Tiggly Draw! Create digital works of art, music, and imaginary creatures. Use the camera to save pictures. Tiggly Shapes Got Talent: Read, play, and record your own stories! An engaging interactive story and early geometry game, which will help students learn shapes and develop their spatial thinking skills.